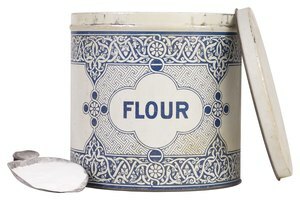 Millet flour, common in African and Asian cooking, contains no gluten, making it a frequent ingredient in gluten-free recipes for baked goods. Most specialty grocery and health food stores sell it. If you can't find millet flour for a recipe you're dying to try, there are several gluten-free substitutes you can use instead. Sorghum, also known as milo, is a type of grass that grows in tropical Africa. Its flavor is similar to millet, with a sweet undertone. Like millet flour, it works best in unleavened bread recipes and is often blended with other gluten-free flours to produce the best flavor and texture. Sorghum flour can be found at health food shops, specialty grocery stores and online. South American quinoa, readily available as a gluten-free cereal grain, makes a slightly nutty-tasting flour. 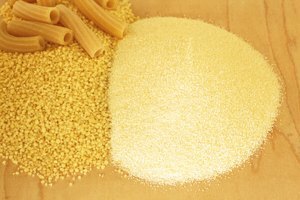 Quinoa flour is more expensive than millet or sorghum flour, but it's less dependent on being combined with other gluten-free flours, and makes good gluten-free cookies, pancakes, breads and cakes. Look for quinoa flour in shops that carry a selection of gluten-free items and online. Though it has a glutenous-sounding name, buckwheat flour contains no gluten. You can use it as a substitute for millet in recipes for cakes and breads. Unlike millet flour, which has a mild flavor, buckwheat flour has a strong, nutty taste and is often blended with lighter flours such as millet. If you don't mind the stronger taste, try buckwheat flour in place of millet flour. Buckwheat flour is a staple of organic groceries, and can be purchased online. Montina is a grass native to North America, also called "Indian rice grass." It's similar to millet in that it comes from a grass and it has a mild flavor. 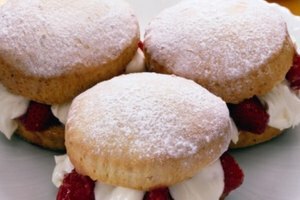 Montina can be purchased blended with rice and tapioca flour as an all-purpose baking flour to make baked goods that come out close to their wheat flour counterparts. 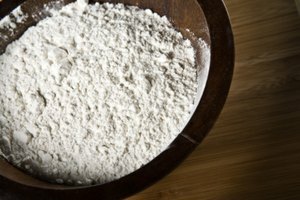 Although it's grown domestically, montina flour is generally harder to find than other gluten-free flours, and it costs significantly more. Look for it in health food stores and online.